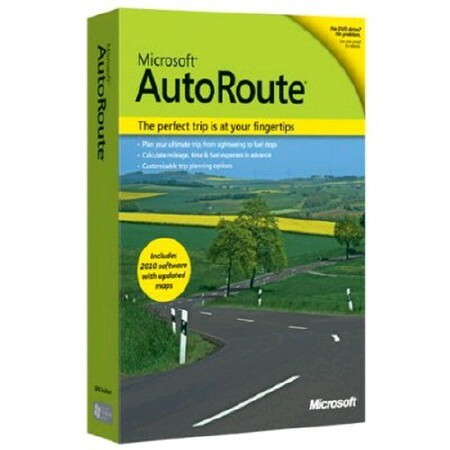 Microsoft AutoRoute - you can calculate your mileage, time and costs in advance so you know, when you arrive, and how much it will cost you to get there. Personalized tools to help you plan breaks, scenic detours, and gas stops, you can even add multiple destinations or quickly alter your route with simple drag and drop controls. 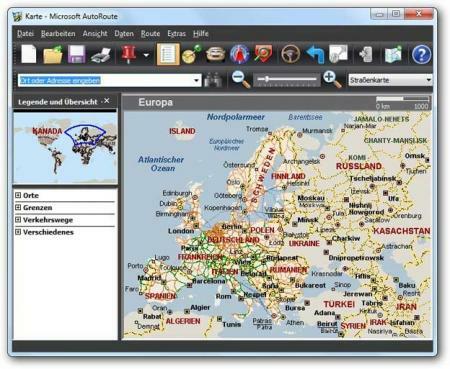 From the point of interest, directory, AutoRoute can add your European trip fun way. Choose your itinerary and a map of your sights on the rest stops and gas stations in parks, hotels and attractions for a fun adventure or a relaxing trip. - PC with 300 MHz or higher clock speed. - Windows 7 with 2 GB of RAM, Windows Vista with 1 GB of RAM, Windows XP with 256 MB RAM, Windows Server 2008 with 512 MB of RAM or Windows Server 2003 with 256 MB RAM (64-bit versions of Windows XP and Windows Server excluded ) service packs for operating systems is recommended. - Some features require Internet Explorer. If not, then Internet Explorer will be installed, but will not displace your primary browser. - Free hard drive space: 1.8 GB (some users may require up to 300 MB optional). - DVD-ROM or Internet access. - Super VGA (1024 x 768) or higher resolution. - Microsoft Mouse, Microsoft IntelliMouse or compatible pointing device. - For Voice Output: Any of the operating systems listed in the above system requirements and compatible sound card. - Microsoft compatible software e-mail, such as Microsoft Office Outlook to use the Send to mobile and email as an attachment, Office Outlook 2003 or Office Outlook 2007, you must use the Send as an image. - Broadband Internet service is recommended for certain functions that may require payment of a fee to an ISP, local and / or long-distance telephone charges may apply. - GPS-device functions require GPS, supports NMEA 2.0 or later and an available port USB.